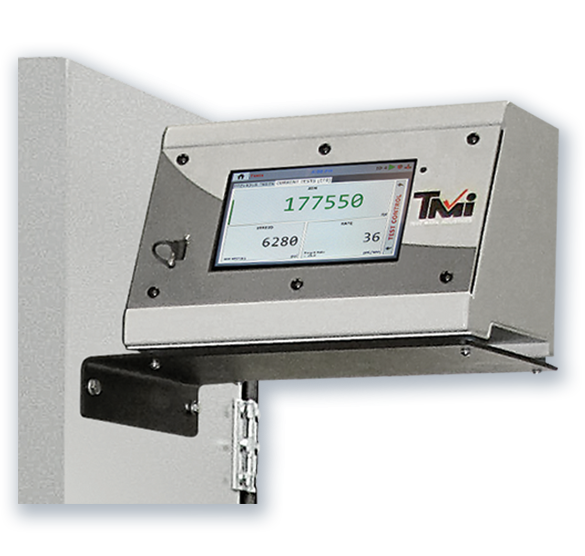 Features a 7″ (178 mm) high-resolution color touchscreen with live readout of both numerical and graphic display (imperial or metric values). Easy test set-up; just choose the standard you wish to test and the test set-up Wizard will walk you through the complete set-up. Stores up to 1,000 tests with load vs. time graph. Calibration accuracy exceeds A.S.T.M. C-39 and E-4 requirements, + 0.5% of indicated load from 1% to full machine capacity. Test Mark’s next generation of closed-loop automatic loading control system features both full automatic and manual test control functions. Simply select a test standard, enter its parameters and touch the start key to begin a test. The machine will automatically begin its rapid approach function, tare, make a soft platen-to-sample contact and shift to the required loading rates. At sample failure, the machine returns the platen to its “at rest” position, displays all test results and stores all test data to memory for recall. The system is powered by a radial pump with multiple pistons for a smooth and continuous flow of oil into the machine&apos;s hydraulic ram assembly. 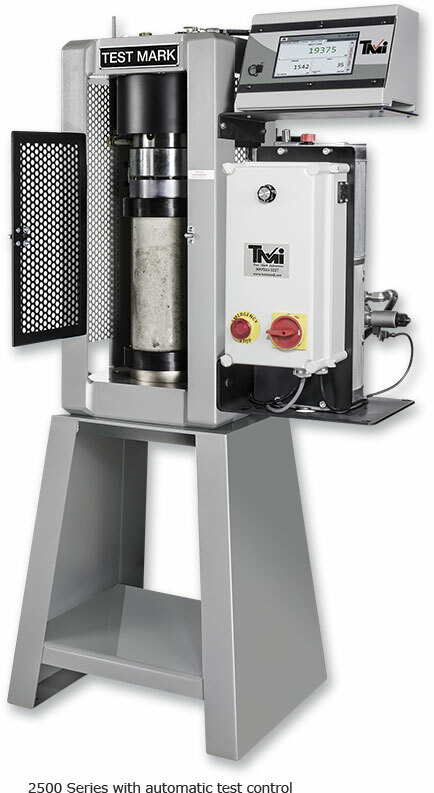 This is highly instrumental for the precise rate of loading control required by test standard specifications, eliminating load pulsations caused by competitive systems with single piston pumps. The hydraulic pump features a sealed reservoir with a filtered air breather to reduce oil contamination. The pump mounted control box incorporates an o-ring seal and air filter to protect all of the electronic components from airborne and oil contamination. 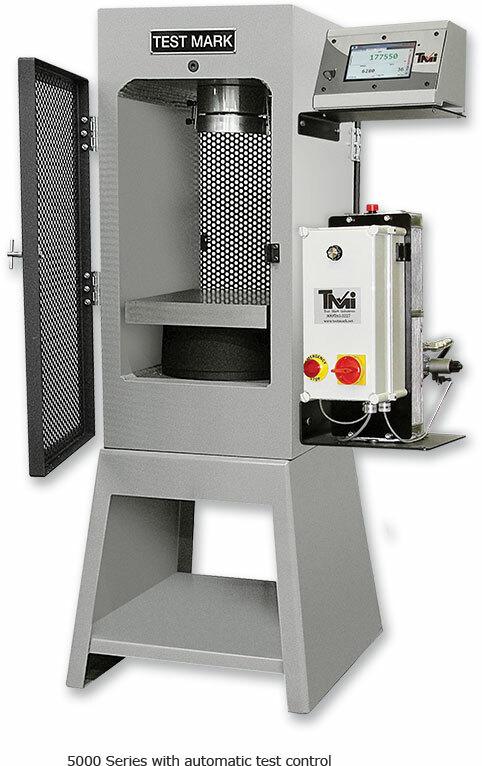 The automatic loading control system is available on all new Test Mark compression testing machines, or as a retrofit package for installation on existing machines. For more detailed information, please download the brochure (PDF). Or call 1-800-783-3227 to speak with an expert!